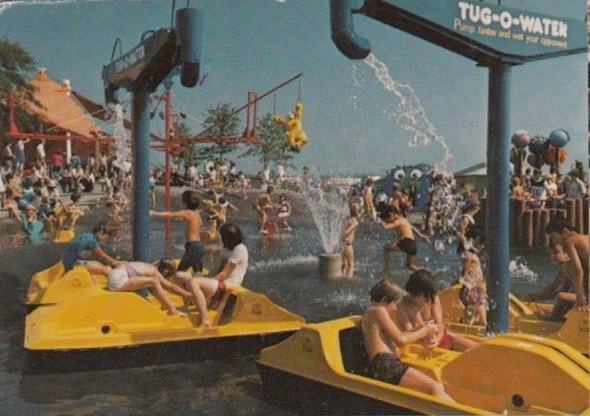 Any kid who spent time in Toronto during the 1970s, 80s and 90s surely fostered blissful, orange-soaked memories at Children's Village in Ontario Place. 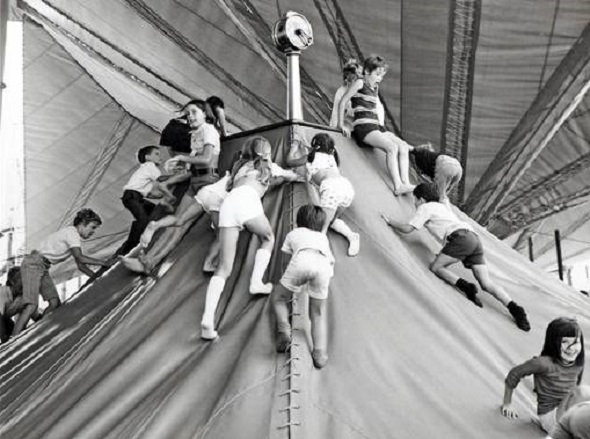 Long before Nanny statism and irresistible digital toys sapped the Joie de Vivre out of growing up, it was a place to go and have real fun - skinned knees, rope burnt hands and purple bruises were all worn with pride. 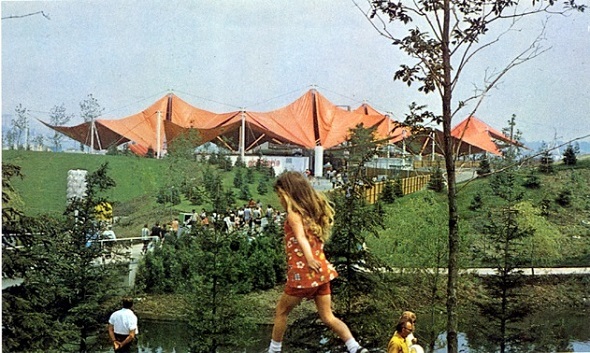 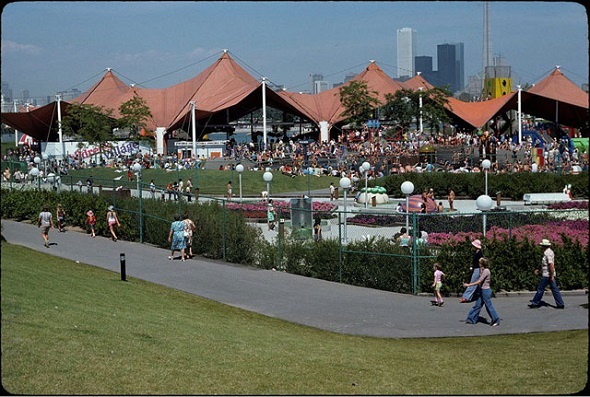 Designed by Eric McMillan after he argued the original design of Ontario Place didn't have enough appeal to young people, Children's Village opened in July of 1972 and quickly became the most popular destination within the park. 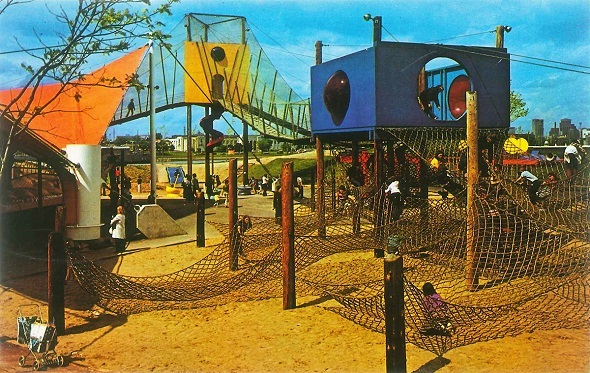 With such daring delights as the "Punching Bag Forest," "King of the Mountain," "Snake Tube Crawl" and the world's very first known Ball pit (here called "Ball Crawl"), McMillan's work influenced play parks around the world (including Sesame Place and Parc de la Villette), and he became known as "the father of soft play." 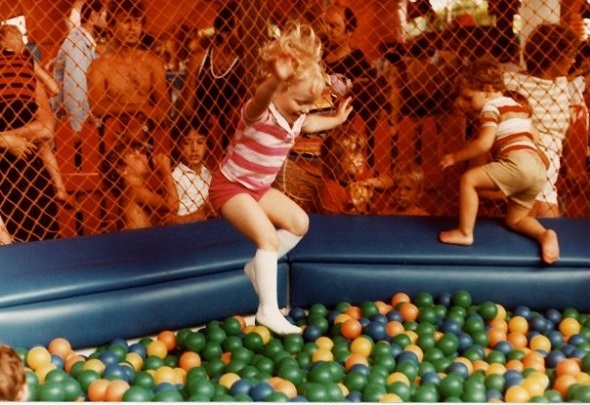 As noted by Nathan Storring at Urban Space Gallery: "children could test their skills in front of their parents and peers. 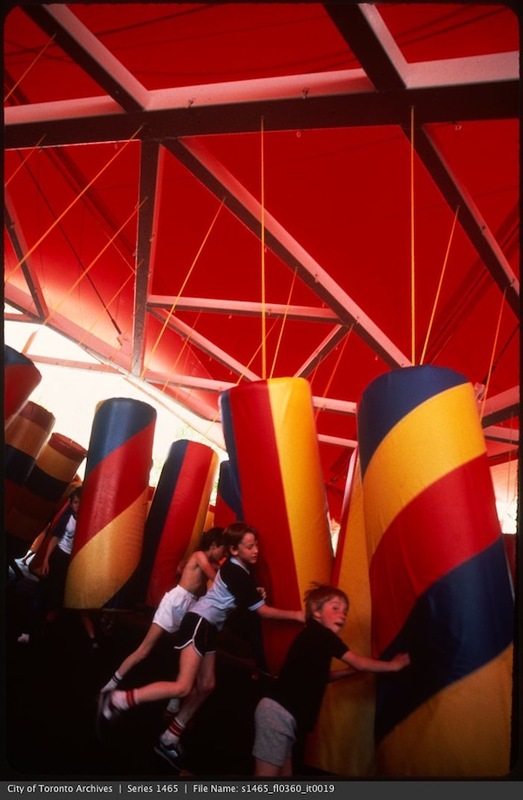 Unlike amusement rides, which offer entertainment to be passively consumed, the Village relied on children's own drives to run and scream, to build things and knock them over, to perform and safely flirt with danger." 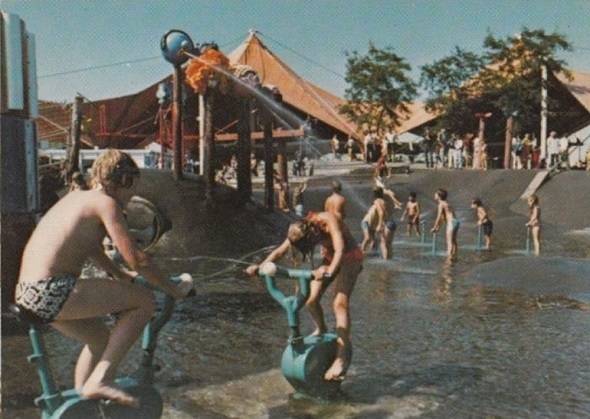 One year later the success of Children's Village allowed McMillan to extend it with the creation of the Water Play area. 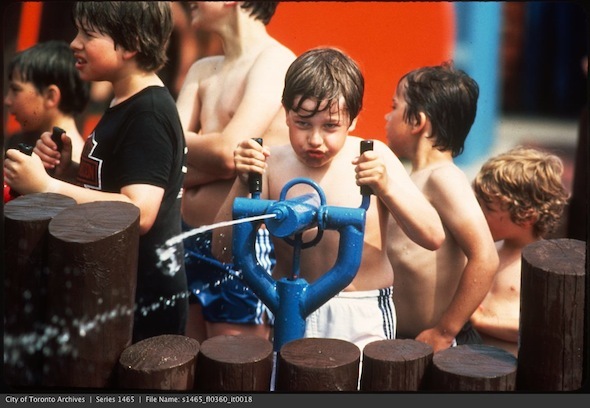 "Water was the element of play: dams, fountains, rivers, bicycle cannons, taps, water cannon towers, spray bridges, hand pumps, tap tunnels. 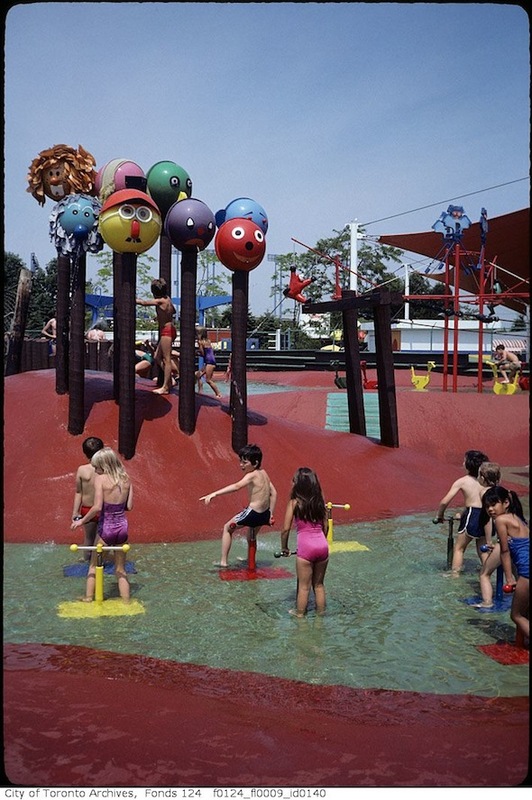 We also built a giant child dryer to make the parents feel safe" Macmillan recalls on his website. 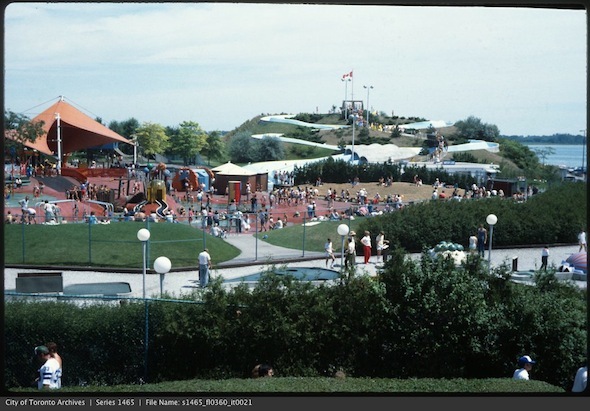 Retrontario.com recently unearthed several reels of Super8 home movies which were shot in and around Children's Village in the mid-1970s. 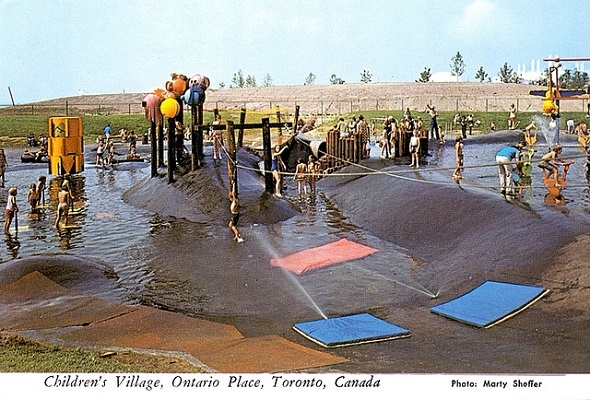 They illustrate the story of Children's Village better than words ever will. 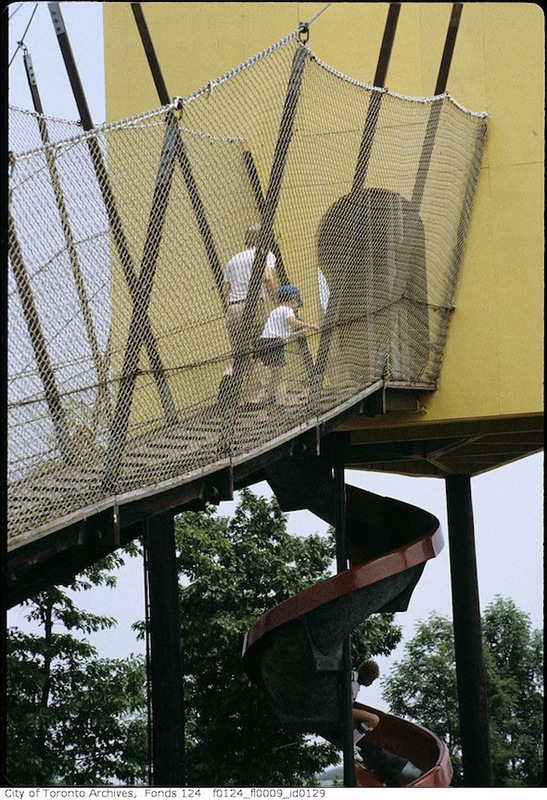 In 2002, Children's Village was unceremoniously stripped and replaced by junior midway rides, the sort of low-grade, greasy hot dog garbage you see in grocery store parking lots during Summer time. 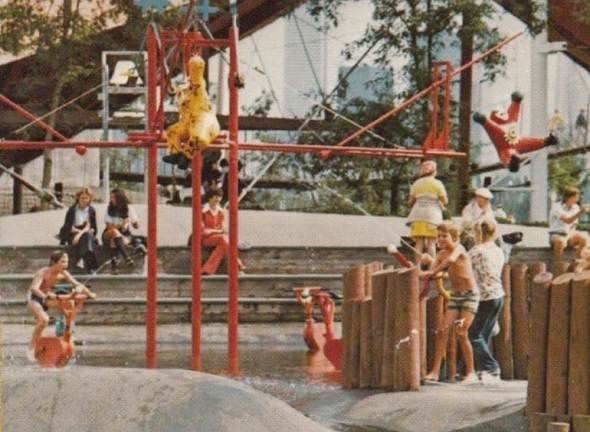 Even worse was the fact that directly across the street was the CNE, where kids could ride at least medium-grade crappy rides. 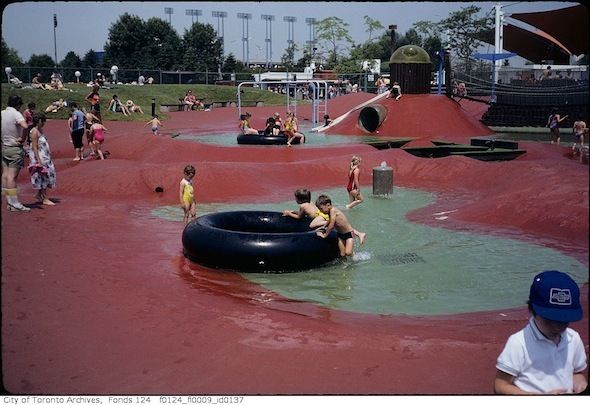 To be fair, all of Ontario Place's once majestic attractions suffered during this period. 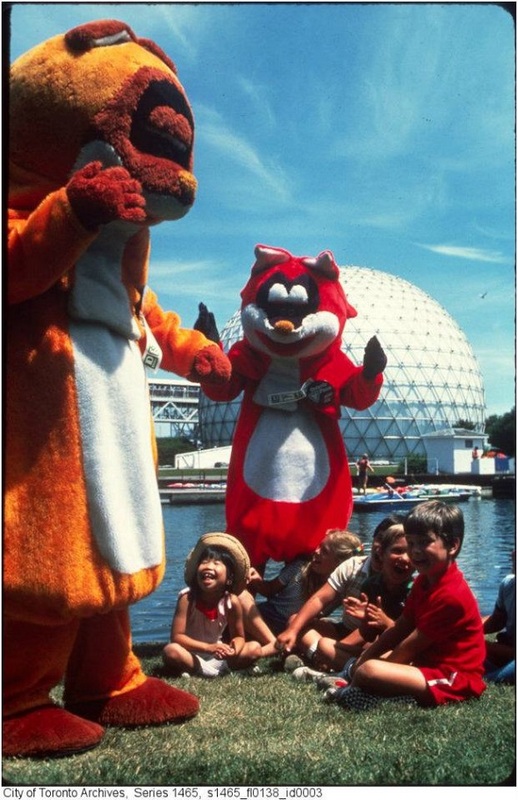 Will the new Ontario Place, set to open in 2017, ever recapture that unbridled spirit of fun offered up by the original Children's Village?